West Nile Virus is present in many counties in Ohio, including Warren County. 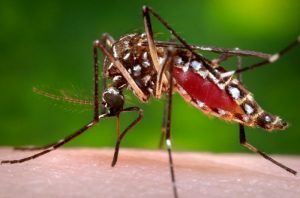 The Warren County Combined Health District remains proactive in treating standing water in public areas with an environmentally safe larvicide and by trapping mosquitoes and having them tested by the Ohio Department of Health. The public can minimize the number of mosquitoes in your neighborhood by eliminating areas of standing water where mosquitoes like to lay their eggs.